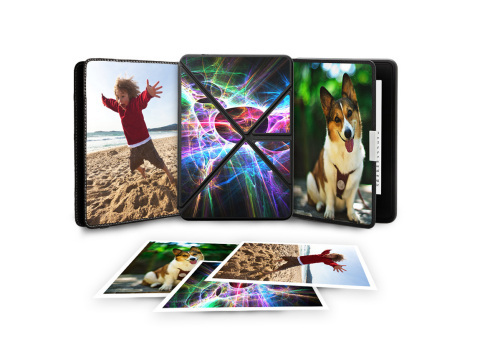 Amazon customers can now have their Kindle covers and skins personalized with photographs from their own image library or with a variety of Amazon designs made specially for the Origami cover range. As well as offering images, logos and other patterns the designs also include popular comic, movie and television show graphics from the likes of Peanuts, National Geographic, Breaking Bad, Star Trek, and more. The company announced the new service today, adding that it wouldn’t cost any more than a standard cover. If you’re interested in creating your own head over to the Kindle accessories store using the link below.